Keeping your personal information secure is one of our most important responsibilities. We value your trust and handle your personal information with care. We will safeguard any information our users share with us. We continually access new technology for protecting this information. Please be aware that, although we try to provide security for information in our possession and control, no security system can prevent all potential security breaches, and S & E Trusted Online Directories Inc bears no liability for uses or disclosures of Personal Information (as defined below) or Non-Personal Data (as defined below) arising in connection with the theft thereof, unless otherwise specified by applicable law. When you contact S & E Trusted Online Directories Inc through our websites, we may collect personally identifiable profile information from you through our registration form. We also collect and maintain information that you voluntarily provide to us. For example, we may ask you to provide personally identifiable information when you comment on any S& E Trusted Online Directory website and / or provide a review of services you have received from ourselves or our advertising partners. We collect additional information that cannot be used to personally identify you (all such information is “Non-Personal Data,” in contrast to collected information described above, which is, “Personal Information”). Non-Personal Data ordinarily includes aggregate, summary, or other anonymous data, and may include, by way of example, product preferences within certain sectors of our user base, generalized subscriber preference, or other non-specific references to location, preferences, length of stay, number of pages viewed and the like. We may use "cookies" (small pieces of information stored by your browser on your computer's hard drive) to track sessions and to personalize your experience on our site. We also use this information, and other information we obtain from your current and past activities on the S & E Trusted Online Directories Inc websites, to troubleshoot problems and to identify ways to improve the site. Most Web browsers automatically accept cookies, but you can usually set your browser to disable their use. Most of the features within our site are accessible when cookies are disabled. We will not disclose personally identifiable information to anyone outside of S & E Trusted Online Directories Inc. We will not publish the full identity of consumers submitting any of the feedback on our site. Consumers should be aware, though, that service providers may identify consumers who provide feedback based on the approximate time feedback was submitted or based on details of the service that the consumer might share in their feedback. We may use personally identifiable information about you to customize your experience on our websites to analyze site usage, and to improve our content and product offerings. We may contact users by email.. We will tell you in plain language how you may remove your name from our marketing list. You may remove your name from such list at any time by contacting us by email on the contact us section of our websites. S & E Trusted Online Directories Inc will not sell, rent or share Personal Information about you with any third party unless we have previously informed you in disclosures or agreements, have been authorized by you to do so, or are required by law. 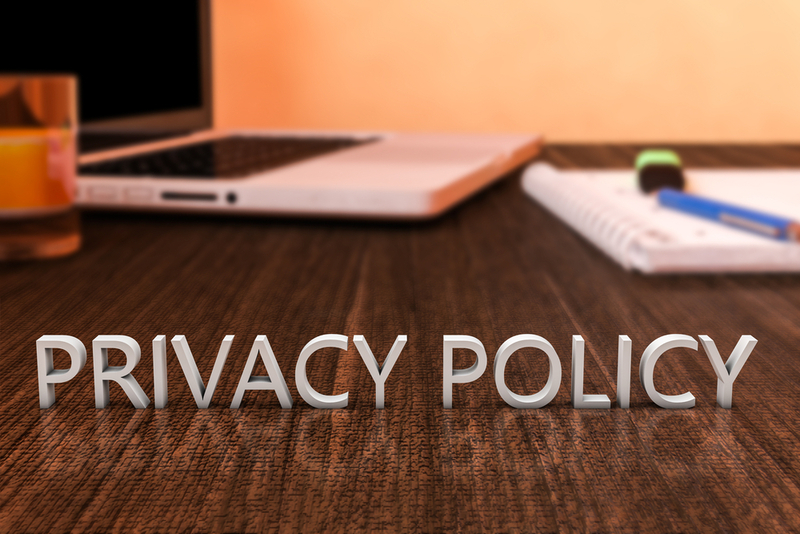 If we receive a legal process demanding release of any information about you, we will generally attempt to notify you (unless we believe we are prohibited from doing so).The company may use Non-Personal Data in a variety of ways, including, by way of example, to evaluate the performance of the site or to generate anonymous statistics for our benefit or for our business and advertising partners. Because Non-Personal Data is entirely anonymous, and therefore can never be used by us to identify you, this policy does not limit S& E Trusted Online Directory’s ability to use or disclose Non-Personal Data. Our employees access information about you when needed to maintain your accounts or otherwise meet your needs. We may also access information about you when exercising our rights under the law or any agreement with you. S & E Trusted Online Directories Inc collects two types of information from service providers: information intended to be available online for customers to use, called “Display” information, and information not intended to be seen by customers, called "Sensitive" information. Display information is intended to be displayed to our websites users and includes basic information collected online such as, name, address, phone number, logos, hours of operation, number of employees, specialties, and email addresses for customer use. Some Display information is also verified or collected offline. Sensitive information is collected offline and includes insurance coverage, license information, identification numbers, references and similar data. We understand that except for license numbers, service providers do not expect Sensitive information to be displayed or shared outside of the company. We will not disclose Sensitive information with anyone outside of S & E Trusted Online Directories Inc except to those companies helping us operate the website . All such entities receiving Sensitive information will only be receiving such data to help us operate our service and will have signed an appropriate non-disclosure agreement. We will not sell, rent or share Sensitive information about you with any third party unless we have previously informed you in disclosures or agreements, have been authorized by you to do so, or are required by law. S & E Trusted Online Directories Inc does not knowingly solicit data from children, and we do not knowingly market to children. We recognize that protecting children's identities and privacy online is important and that the responsibility to do so rests with both the online industry and with parents. S & E Trusted Online Directories Inc shall exercise reasonable efforts to remove data posted on its website by persons that it knows to be under eighteen (18) years of age. All written content, testimonials, listing images, Trusted logos and videos once published on the Trusted websites are the intellectual property of S & E Trusted Online Directories Inc. and as such cannot be used or duplicated without written consent by an authorised S & E Trusted Online Directories representative.